Is this the Year without a Santa Claus? Tim Danser Says No Way! Timothy Danser, Simon Carter, and RS POP Shop have joined forces to keep the spirit of Christmas alive by launching one of the first Toy Drives of the Season in New York City. 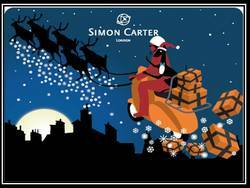 Simon Carter in his London Chic Sleigh. My goal over the years has been to bring a little joy into a deserving child’s life by keeping Holly’s love of Christmas alive” said Danser. It is almost impossible to not think about children during the Holiday Season. With unemployment at all time highs, one can only imagine if this is the year without a Santa Claus for many children in light of the struggling economy. Timothy Danser, Simon Carter, and RS POP Shop have joined forces to keep the spirit of Christmas alive by launching one of the first Toy Drives of the Season in Manhattan November 17th to 19th. The benefactors of this event will be The Committee for Hispanic Children and Families, Inc. Since 1982, The Committee for Hispanic Children and Families, Inc. (CHCF) has been dedicated to improving the quality of life for Latino children and their families. In 2005, the after-school program was rated one of the top 10 of over 200 that receive funding from the After-School Corp. These programs, which provide an extended family for many Latino children and families, have received major cut backs due to the economic crisis and budget cuts. “Many families are struggling to make ends meet. Now more than ever, there is a need to show peace and goodwill for deserving children everywhere, the gift of a new toy can go a long way to create a special holiday memory,” said Tim Danser. 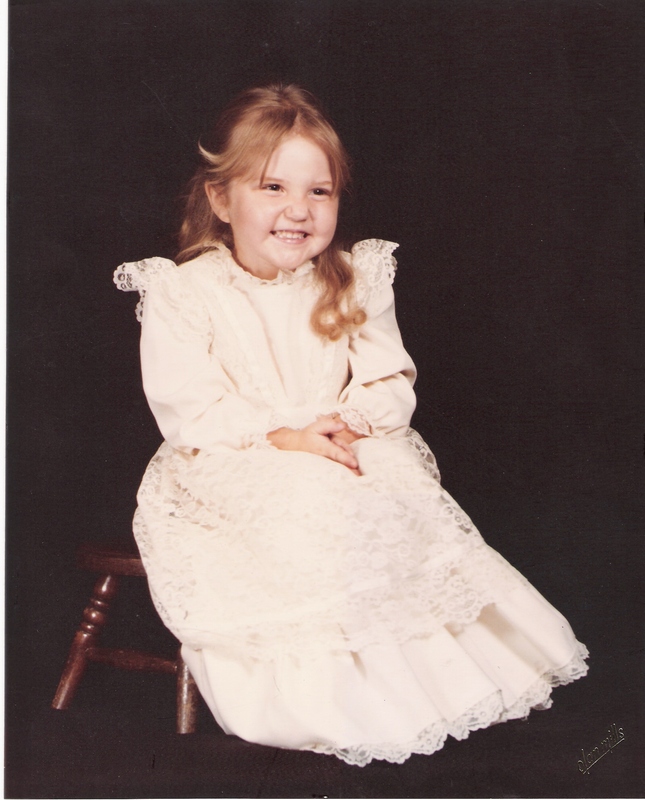 Danser has been hosting an annual toy drive since 1996 which began in an effort to honor the memory of his niece Holly Christina Danser. 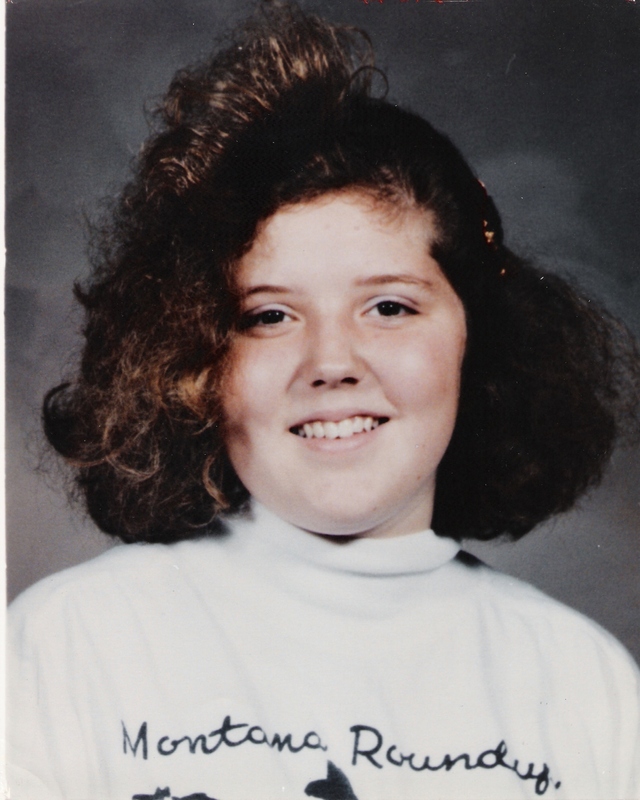 In 1990, Holly died unexpectedly 7 days before Christmas after celebrating her 13th birthday on December 11th. “My goal over the years has been to bring a little joy into a deserving child’s life by keeping Holly’s love of Christmas alive” said Danser. Cleveland was the location for the first benefit which eventually moved to support children in Dallas, Chicago, and now New York. Past agencies supported by the holiday affair have been the Make-A-Wish, Dallas Children’s Advocacy Center, and Children’s Home + Aid. Danser enlisted the support of Melissa Gonzalez, Co-Founder and Producer of RS POP, who was instrumental in suggesting the children of PS/MS 279 After School Program through CHCF for this year’s chosen charity. The event will be hosted at the Roger Smith Hotel as a kick off for the Toy Drive on the evening of November 17th. Lily’s Bar and Restaurant located in the Roger Smith Hotel will be the key sponsor along with Verity Wine Partners for this invitation only event where admission is a new unwrapped toy. The Simon Carter Pop Up store in RS Pop Shop will serve as a drop off or collection point on November 18th and 19th from 11 AM to 7 PM. Simon Carter, the King of Cufflinks, opened his first US Pop Up Store in Manhattan on November 2. The mission is to bring newness and excitement to the US retail market. Menswear and Accessories is the core of Simon’s British business, which continues to break boundaries in sales in the global marketplace. From humble beginnings, selling pewter brooches up and down the Kings Rd, Simon today has flagship stores in both London and Toronto. The London Chic lifestyle can be found in forty countries around the world. “In addition to a fresh new spin on fashion, Simon brings a fresh new perspective of business and is a true gentleman by supporting our local community through his first endeavor,” said Melissa Gonzalez of RS Pop. The brand is stocked in the best trend setting stores including Liberty, Selfridges, Bloomingdales, Seibu, Brown Thomas, David Jones and Fenwick. Simon’s collections continue to buck the economic trend whilst spearheading fashions that appeal to the British taste for inventive, understated chic. Simon Carter celebrates his 25th Anniversary by expanding his empire this winter with the pop up store in New York City. Inspired by the talent and dreams of emerging designers and artists, Melissa Gonzalez, former Wall Street Executive and Host of Latin Beat on BET, and John Knowles, CEO of Panman Productions, have joined forces to transform the storefront on Lexington Ave between 47th and 48th Street in New York City into a Social Media Pop Up Shop, known as the RS POP Shop. The program is an organized approach incorporating custom made branding videos, a sponsored live broadcast opening night event that is promoted through our social media infrastructure and ongoing online PR and blogging. Simon Carter first began designing avant-garde accessories for men in 1985 on London’s hip The King’s Road. His success soon led to the development of the Simon Carter brand which encompasses a full range of accessories including cufflinks, sunglasses and watches. They are sold in 35 countries. Crowned the ‘King of Cufflinks’ by the British press, Simon Carter’s cufflink designs continue to lead the market today with more than 300,000 cufflinks sold annually. 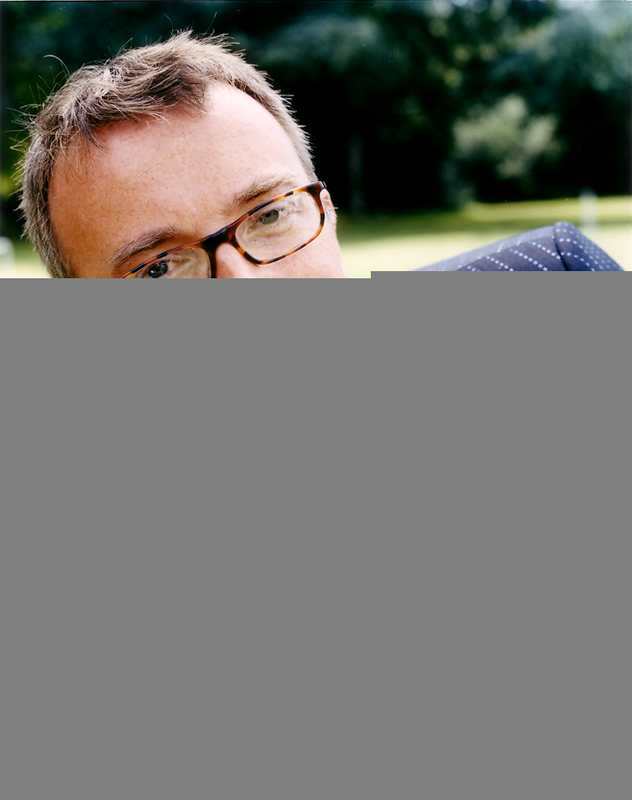 His foray into menswear apparel began in 2002 and today it is carried by leading retailers such as House of Fraser, Moss Bros., Fenwick’s, Liberty (UK), Brown Thomas (Ireland), David Jones (Australia), CK Tang (Singapore) and now Tip Top Tailors in Canada. A Fashion Industry Executive skilled in creating "The Next Big Idea." While a student at West Virginia University, he created the school’s first pin up calendar, Faces of WVU. Danser has been credited with many "first" in the industry including "Why Rent When You Can Own Tuxedo" at JCPenney and "Dad Wants Free Gasoline" at Sears. Singular product innovations included the world’s first machine wash/tumble dry suit at JCPenney and the world's first Eco suit at Sears. Serving as Vice-President of Marketing at Bagir International, he has been successful at turning the company around, launching Simon Carter in North America, and becoming a Red Carpet Brand. Verity Wine Partners was founded in 2009 with the goal of becoming the best fine wine distributor in New York State. Verity represents a broad portfolio of over 750 wines from 240 wineries in 15 wine-producing countries. One of the industry's most diverse portfolios, what all Verity Wines share in common are balance, character, authenticity and, most important of all, deliver value respective of their price.